One of Ginuwine's classic and most popular 90's jams, "Pony"has resurfaced with new life thanks to producer Viceroy, who has already created some spectacular remixes of Biggie, Passion Pit, and more. On his version of "Pony" he speeds up the tempo, adds in some synth, and creates a new modern vibe to it. 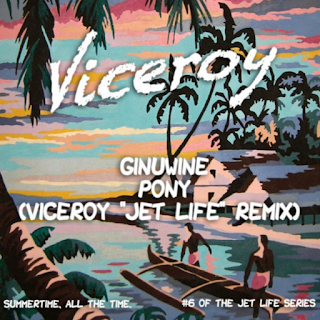 This is a song to add to the Summer party list and this also is Viceroy's sixth tune in the Jet Life remix series. Stream and download the song below.